Before to find spy camera, you need to know that there are two types of hidden camera in the market, wired and wireless miniature spy camera. The major way to detect the pinhole spy cameras; through light or through radio frequencies (RF). Remember, some of the smart phone has infrared filer that cannot see the red spot. According to the testing result, you need very close to the target and the angle of phone and spy camera need to be the same it order to get the reflections. 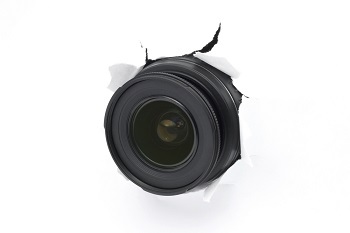 More secure way to find spy camera is to use an eavesdropping detection device - Camera Lens Detector. The lens detector has a series of red LEDs around a lens that you hold up to your eye. They generate what are described as “sparkling red dot” when they detect what appears to be a camera lens, so you can investigate further. Regarding to video transmission, there are analog and digital signal. To detect analog wireless spy camera, likes 1.2 GHz, 2.4GHz or 5.8 GHz hidden camera, you can use Camera Hunter or Camera Interceptor which can locate and display video on monitor. To discover the digital spy camera, likes WiFi camera, 4G camera, you can use Wide Band Radio Frequency Spy Bug Detector, WiFi Signal Detector or 4G Signal Detector. To find the camouflaged spy camera is not an easy task, it needs experience and sweeping slowly.